Continuous and smooth welds are essential for food safety. Welds get a lot of attention from food safety inspectors because of their potential to harbor harmful bacteria. Rough or uneven welds, welds with pits or scale, and even skip welds can include crevices where bacteria can hide and multiply. The safest weld is smooth, continuous, and even, and free of pits, crevices, and scale. In the food contact area USDA/FDA specifications further require that these welds be ground, smoothed, and polished. Our standard GS&P weld is to an 80-grit finish. 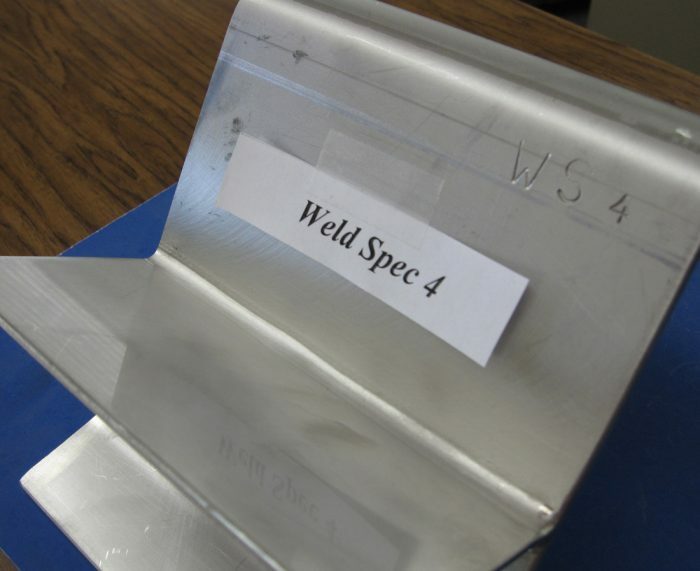 We try to avoid welding in corners between adjacent surfaces, choosing instead to make these formed joints, but when welding is necessary we grind corner welds to produce a minimum ¼” radius for easier release of impacted product during cleaning operations.